Nishat Linen NL pret collection 2015 has launched just now. This collection includes stitched and unstitched both type of dresses. These all dresses are really looking simple but stylish. This is a volume 2 of summer collection by Nishat Linen. This collection is full of with one piece, two piece and three piece dresses. A wide range of beautiful dresses are add in this collection, that you can eaisly wear as casually. So, girls!! here in this post i am sharing Nishat Linen NL pret collection 2015 below. Nishat Linen is one in the most leading fashion brand. They are very well reputed because of their high quality fabrics. They always launch a seasonal collection for men, women and kids. After the great laucnh of summer collection 2015, they have released their volume 2. 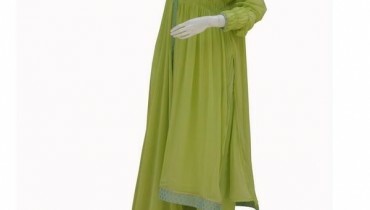 This collection is consisting of beautiful lawn, cotton and chiffon dresses. Yes, a wide range of beautiful dresses are add in this collection, which are perfect for young girls to aged women. Nishat Linen NL pret collection 2015 is looking simple yet stylish. The colorful dresses are seeing in this collection such as red, orange, green, blue, black, white, pink and so many more. Floral prints to dot prints are add here as well as some embroidered dresses are also available for parties. Nishat Linen NL pret collection 2015 is perfect for this hot atmosphere. These dresses are light-weighted as well as attractive. So, girls!! if you are searching for some stylish seasonal dresses for summer, then must visit NL outlet. There is a wide range of new arrivals for summer that is waiting for you. These dresses will bring some extra shine to your personality with their styles, colors and exclusive prints. Let’s check out this beautiful collection here below. For further queries you can also visit their Facebook page below.